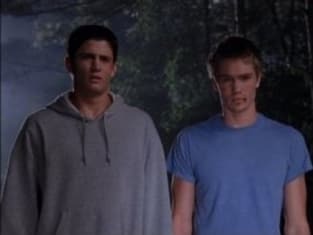 Nathan and Lucas are kidnapped by a rival team after Whitey throws them off the bus for fighting at a game. Guess who finds them? One Tree Hill Season 1 Episode 6: "Every Night Is Another Story"
Brooke: Where the hell are we? Permalink: Where the hell are we? Miles from normal. Karen: Okay, what does this dress say to you? Lucas: Uh ... beware of crazy ladies who talk to dresses?